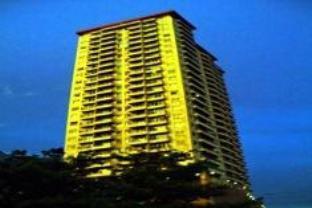 The Pearl Garden Hotel is perfectly located for both business and leisure guests to Manila. All 83 rooms at The Pearl Garden Hotel have all the modern facilities guests' would expect from a hotel of this class. The guestrooms are equipped with television LCD/plasma screen, separate shower and tub, air conditioning, daily newspaper, desk. Hotel facilities offered at this Manila accommodation include 24hr room service, coffee shop, bar/pub, laundry service/dry cleaning, meeting facilities. Leisure and sports facilities available on The Pearl Garden Hotel's property comprise massage. Being one of the good quality hotels in Manila, guests staying at this hotel will find its convenient location and tranquil atmosphere pleasurable. To make your reservation at the Pearl Garden Hotel via our secure online reservation form, please submit your visit dates.